Recently, we have supplied Inconel 600 seamless tubes of Φ46 mm x 3 mm to a heat-exchanger manufacturer in Germany. The tubes are made in accordance with ASTM B163 UNS N06600. The manufacturing process of the Inconel 600 tubes is: Non-VIM for raw material → electroslag remelting (ESR) → blooming (Φ95 mm) → hot piercing (Φ98 mm x 8.5 mm) → precision cold-rolling (to Φ46 mm x 3 mm) → heat treatment at 1050°C for 20 minutes(in protective atmosphere) → chemical & mechanical inspection → ultrasonic test → cleaning → packaging & storing. Since there are small amount of titanium additions during raw material melting procedure, a tailored test was conducted to determine its precipitated phase within the alloy. Take two small test pieces from the Inconel 600 tube and cut them off along the axial. Then, grind and polish the surface carefully. Specimen A is dipped in boiling sulfuric acid and potassium permanganate solution which is used for SEM analysis. 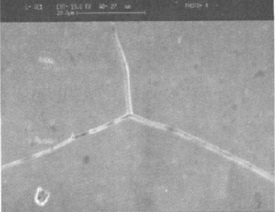 Specimen B is prepared for extraction replica in carbon film and TEM analysis. 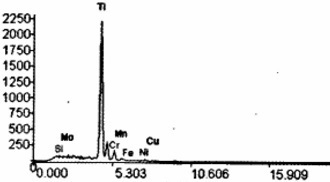 The actual chemical composition for the specimen (mass fraction %): C-0.013, Si-0.0008, Mn-0.53, S-0.013, P-0.009, Ni-75.4, Cr-15.22, Cu-0.02, Fe-8.39. A-2: Microstructure of Inconel 600 by SEM X1350(magnification factor). 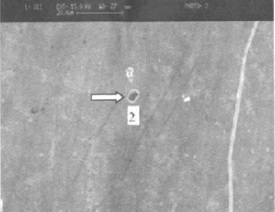 Pictures A-1 and A-2 show the microstructure of Inconel 600 by SEM at 135 and 1350 magnification factors respectively. As shown on A-1, UNS N06600 is a typical austenitic solid-solution alloy with crystal basis of γ austenite. The grain size is approx. 80~100 μm (grain grade 5~6). It is obvious on picture A-2 that there is hardly any precipitated phase at the grain boundaries while some tiny precipitated phases exist within the crystal grain. A-3: precipitated phase in Inconel 600 grain taken by SEM X540. A-4: precipitated phase in Inconel 600 grain taken by SEM X1350. The precipitated phases within the Inconel 600 grain are marked as “1” and “2” on the SEM pictures A-1 and A-2 respectively. 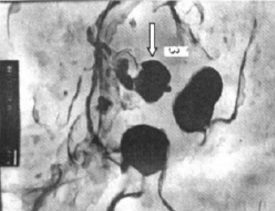 The precipitated phase 1 is sphere-shaped while phase 2 is rectangular-shaped. Their energy spectrum are shown in below two pictures respectively. Despite of minor difference in shape, the energy spectrum implies clearly that the chemical composition of phase 1 and phase 2 are almost the same. And the titanium content is very high. The energy spectrum of precipitated phase 1. The energy spectrum of precipitated phase 2. 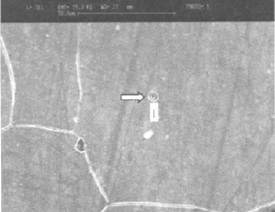 B-1: the extraction replica of Inconel 600, TEM photo. 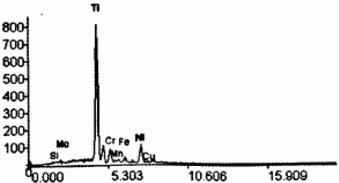 B-2: The energy spectrum of precipitated phase 3 in Inconel 600 grain. The precipitated phases within the Inconel 600 grain are extracted as replica in carbon film. 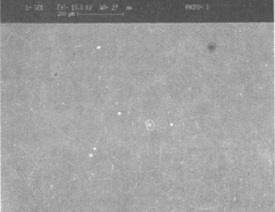 Photo B-1 is taken by TEM and the energy spectrum of precipitated phase 3 is presented in photo B-2. There are 3 precipitated phases on the replica with identical shapes which implies that the same phase. 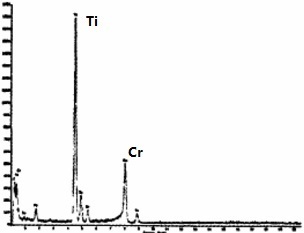 As shown on B-2, the main constituent of phase 3 is titanium and there is also noticeable amount of chromium. Since there is no nitrogen content, it is concluded that titanium carbide with small amount of chromium carbide is the main constituent of the precipitated phase within Inconel 600 crystal grains.